You have several options for what you can do with an inherited IRA if you aren't the spouse of the account owner. Unfortunately, many IRA beneficiaries aren't aware of all their options, so they immediately cash out the IRA and end up with a huge income tax bill. But income taxes can be minimized by simply choosing the option that results in the smallest tax hit. You might have up to four choices. You won't be allowed to roll over the inherited IRA into your own IRA, but you can take distributions from the inherited IRA without paying the 10 percent penalty for early withdrawals. A non-spouse IRA beneficiary can withdraw all the funds from the IRA by Dec. 31 of the fifth year following the IRA account owner's death. Each withdrawal will be included in your taxable income during the year the funds are withdrawn. You don't have to take the distributions in installments, but you must withdraw all the funds prior to the applicable Dec. 31 date. This can be an option if the account owner had not yet reached age 70 1/2 at the time of her death and was not yet taking required minimum distributions (RMDs). You might be able to take RMDs over your own life expectancy, leaving the bulk of the account to continue to grow tax-deferred. This is often referred to as a "Stretch IRA." You'll potentially be able to create a nice little nest egg for yourself if you're significantly younger than the IRA account owner was and you choose this option. You'll also be able to take out more than your required minimum distribution in any given year if you find you need to do so. As with option No. 1, each distribution taken will be included in your taxable income during the year the funds are withdrawn. You must establish a separate inherited IRA account in the deceased account owner's name for your benefit if you choose this option, and you must take your first RMD by Dec. 31 of the year following the year of the account owner's death. The inherited IRA account would be titled "John Doe, IRA (deceased 1/1/18), FBO Sally Doe, beneficiary." You should be also able to name your own primary and secondary beneficiaries if you die and funds still remain in your inherited IRA at the time of your death. If the original owner was over the age of 70 1/2 and was taking RMDs, you also have the option of continuing to take her RMDs. You might be able to take RMDs over the life expectancy of the oldest beneficiary of the IRA if the account owner named more than one beneficiary and separate inherited IRA accounts aren't established for each beneficiary by Dec. 31 of the year following the account owner's death. This calculation will automatically use the oldest beneficiary's life expectancy if you miss the deadline. If that beneficiary is significantly older than you are, the result could be that the RMDs will be heftier, meaning you'll pay more in taxes than you had to. As with the first and second options, each distribution is included in your taxable income in the year the funds are withdrawn. Of course, you can always withdraw 100 percent of the IRA account immediately and put the funds into your own pocket, but 100 percent of the account will be included in your taxable income during the year of withdrawal. Choosing this option might very well bump you into a higher income tax bracket, so it's important that you do not spend all the funds during the year in which they are withdrawn. Set aside enough funds to pay the income tax bill. Otherwise, you could find yourself in trouble with the IRS. Mark Dec. 31 of the year following the year of the IRA account owner's death on your calendar because you must decide what to do with your inherited IRA on or before this date. Option No. 1 will become mandatory if you do nothing by this date, and you'll be required to withdraw everything from the IRA account by the end of the fifth year following the year of the IRA account owner's death. Do not ask the IRA custodian for advice as to what you should do with your inheritance, and do not simply withdraw 100 percent of the funds as soon as possible. Slow down, take a deep breath, and consult with an estate planning attorney, a tax accountant, or a financial advisor to determine which option will work best for you considering your personal situation. If you rush in and make a mistake without expert assistance, it can cost you. For example, all these options depend on trustee-to-trustee transfers. If you take possession of the funds at any point in time before it lands in another IRA account, even accidentally, that money will often be deemed to have been a distribution. You'll be taxed accordingly. You're not permitted a 60-day window of time to reinvest when you're a non-spouse beneficiary. 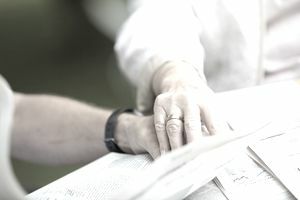 Not all IRA custodians offer all four options to non-spouse beneficiaries of traditional IRAs, and some of your choices might be limited due to the age of the account owner at the time of her death. Surviving spouses have options that are very different from non-spouse beneficiaries. These rules all apply to traditional IRAs. Distributions from Roth IRAs can be taken tax-free, provided that the account owner had the IRA for at least five years.